Jump from 14,000ft at this Georgia dropzone. Tandem skydiving is the ultimate extreme sport! 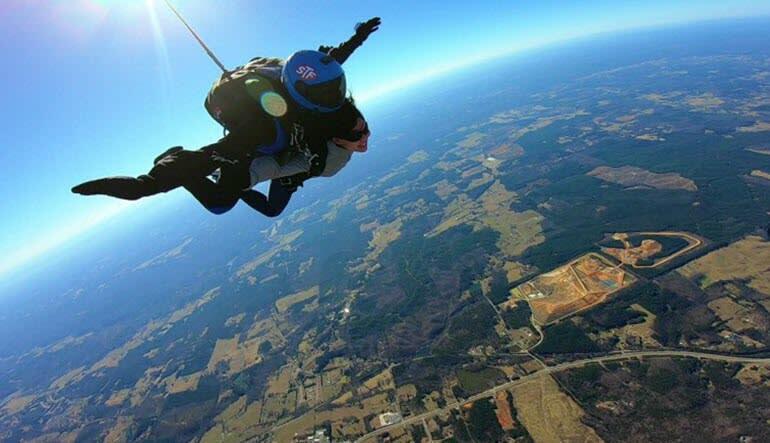 Jump from 14,000ft at this Georgia dropzone. 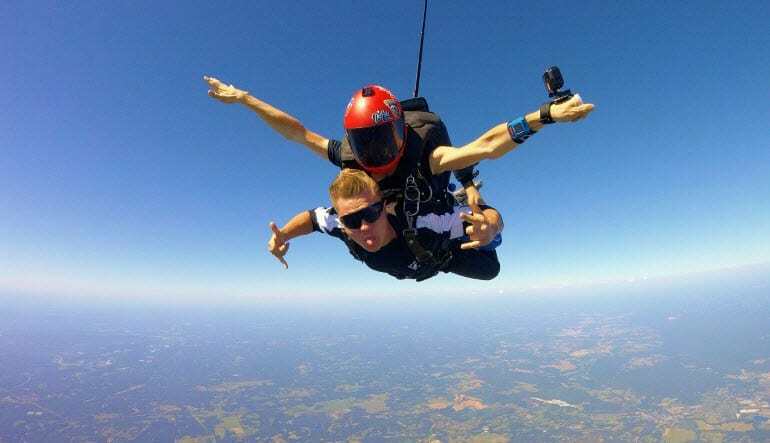 Tandem skydiving is the ultimate extreme sport and free-falling is the purest source of adrenaline. With world-class instructors and a large packing area, the dropzone is perfectly situated to calmly walk you through what is sure to be the experience of a lifetime. You’ll begin your day with a quick tutorial about the physics of skydiving and the mechanics of your chute, and then it’s time to ascend into the air! After your free fall, you’ll enjoy a canopy tour as you descend gently towards the landing area. If you’ve always wanted to skydive, a tandem jump from this Georgia dropzone ticks all the right boxes! Skydiving was awesome!! Before we left the parking lot we were planning the next trip. The instructor (Ronnie) did a great job guiding me through the experience. Thanks to all. Thank you to the entire staff. Each instructor was knowledgeable and helpful. Thank you to Iian who jumped with me. You were amazing and my me feel comfortable. Best birthday gift ever. Mitch and Dino made this experience a fun and very memorable experience. Anyone thinking about a tandem jump would be lucky to have these guys to jump with! Highly recommend!!! The skydivi g pros were amazing. Very thorough and friendly.